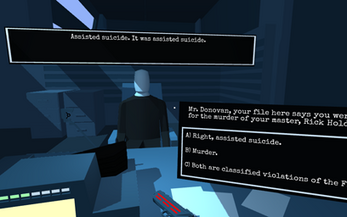 Blade Runner and I, Robot-inspired interrogation game. Use Left-mouse button to move/select dialogue options. A game by Dillon Rogers. Like my games? Follow me at @Jollyrogers99 or contact me here.